There are a total of 191 records available. Windstream(844) 394-9875Windstream offers two great high-speed Internet plans that will support all of your online activities. 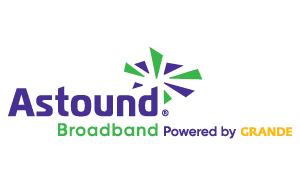 Windstream provides Fiber, Cable, DSL, Copper and Phone services. GCI Communication(800) 800-4800Alaskan based provider of TV, Internet, Mobile and Phone. GCI Communication provides Fiber, Cable, DSL, Copper and Fixed Wireless services. FairPoint Communications(866) 984-2001Delivers fast, customizable internet service plans to residential and commercial customers in 17 states via a combination of fiber and telecommunication technologies. FairPoint Communications provides Fiber, Cable, DSL, Copper and Fixed Wireless services. Global Capacity provides DSL and Copper services. 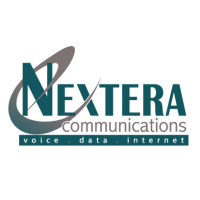 Nextera Communications(877) 639-8372Nextera Communications is a privately held Minnesota-based LLC telecommunications company providing carrier-grade voice, data and Internet solutions to small, mid-sized and enterprise businesses across the state of Minnesota. Nextera Communications provides Fiber, DSL, Copper and Fixed Wireless services. Harbor Communications provides Fiber, Copper and Fixed Wireless services. Wyoming.Com provides DSL, Copper and Fixed Wireless services. Wave provides Cable and Copper services. Consolidated Communications(855) 224-2029MASTER THE CLOUD. LIVE THE GIG. DON'T MISS A GAME. POWER UP YOUR BUSINESS. Consolidated Communications provides Fiber, Cable, DSL, Copper and Fixed Wireless services. Grande Communications(855) 410-1861Includes 24/7 support and online security. Grande Communications provides Fiber, Cable, DSL, Copper and Television services. Sonic Telecom provides Fiber, DSL and Copper services. Shentel Telecom(800) 743-6835Internet with speeds that fit your needs. Shentel Telecom provides Fiber, Cable, DSL and Copper services. 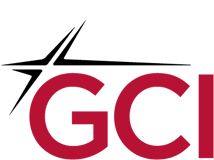 The Computer Works provides DSL, Copper and Fixed Wireless services. Fidelity Communications(800) 392-8070With Internet, faster is ALWAYS better. Connect your laptops, gaming systems, phones and more to our high-speed Internet. Fidelity Communications provides Fiber, Cable, DSL and Copper services. South Central Communications Utah provides Fiber, Cable, DSL, Copper and Fixed Wireless services.